President Muhammadu Buhari's election victory in the opinion and expectation of majority of Nigerians and African was seen as an opportunity for a total transformation of Africa's sleeping giant, but the events in the last 10 months have shown otherwise. According to a study by Nigerian Governance Watch, a United Kingdom (UK) based Nigerian Professionals group, revealed that President Buhari is beret of idea to manage, have no focus, unstable and extremely incompetent in every sphere to shape the affairs of any Nigeria. The group come short of blaming the President, but Nigerians who knew the antecedent of Muhammadu Buhari while in office in 1984 to 1985 and blindly went for a man who have not created anything, but only destroys the gains of his predecessors through his thoughtless policies and zero understanding of the workings in a public sector. As a military leader, Buhari killed the Naira, killed the Economy, destroyed our relationship with the rest of the world, polarized the country on tribe and religion, impoverished Nigerians to the extent that Nigerians were queuing up for essential commodities like Milk, Rice and Bread. On Buhari's return in May 2015, he has within this short period, turned Africa's biggest and fastest growing economy to a shrinking one. Crashing the GDP from about 7.0% to 2.4%, Inflation jumping to 11.6% from 9%, over 2 million Nigerians losing their jobs, FDI dropped by over 85%, Maternal and Infant mortality is at all time high as result of poverty, malnutrition and diseases. In a dwindling revenue, Buhari did the unheard of, instead of reducing the budget, he increased the budget from N4.3trn to N6.07trn. He presented the most fraudulent, inflated and irredeemably padded budget. 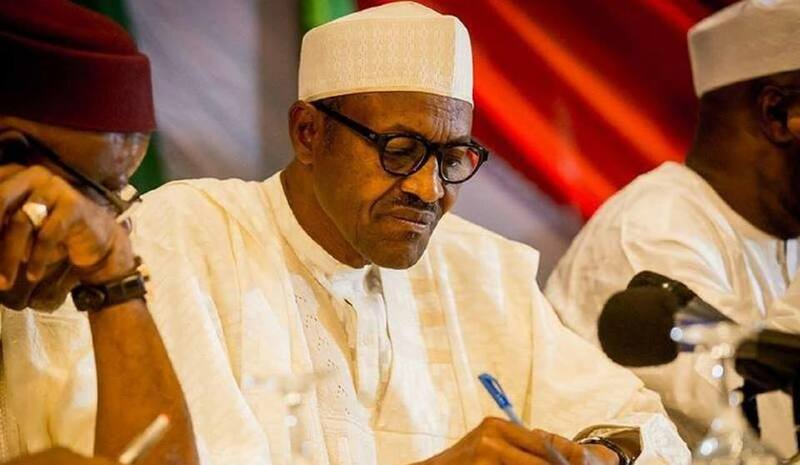 The Nigerian Governance Watch stated that they were not surprised, as President Buhari they described as a “very serious” leader, in a recession period did not deem it fit to appoint a single Economist among the 36 names in his cabinet. They frowned at the president's inability to set up an economic Team after 10 months in office and only resorting to intuition, thumb rules and application of Adam and Eve economies in this 21st century. On the political front, the condemned President's deliberate interventions in the electoral process and his use of security agencies to intimidate the opposition and the assassination and killing of people of diverse opinion. The UK based group, according to Hope For Nigeria is worried that President Buhari who benefited in one of the best organised elections in Africa just few months ago have been unable to successfully organise any election in the country. His determination to ensure that his party members and cronies win all the elections has lead numerous killings, kidnapping and in most cases annulling results or declaring them inconclusive where his party is losing hopefully, like the case of Rivers state re-run election. In conclusion, according to Hope For Nigeria, the group advised President Buhari to swallow his pride and recall some of the experts from previous governments that meticulously guided the Nigerian economy to be the largest in the continent. They added that It is not about Buhari as the leader, but the paramount thing is the interest of Nigeria and Nigerians. It’s a pity we Nigerians don’t understand the process of success and comfort. It’s been said for us to have peace and enjoy better, we need to be patient and let the President do his job. We are not moving forward because we don’t exercise patient all times. This is a dumb write up, times are hard and he is unfortunate to be a leader at this time. Best u know if he left the forex for d round tripping and all d toothpicks and irrelevant pirchases we would have come to this point eventually. Onlysensible people can read ini between d lines. Our failure as a country over the years when things were favourable is what has led us here. The organization behind the write up is probably politically motivated. For the rest of you in support of the write up its ur opinion.